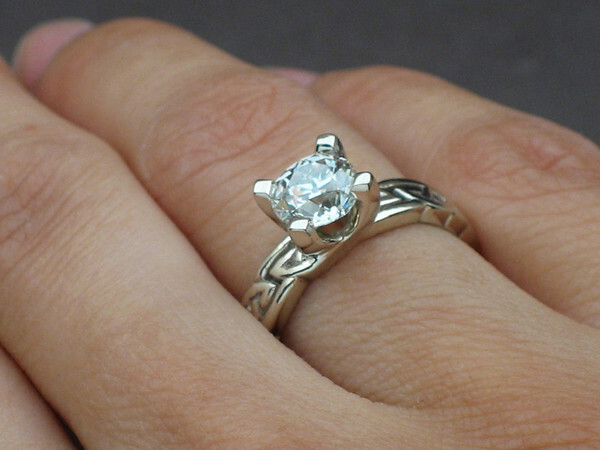 Celtic themed engagement ring in 14k white gold with an antique european cut diamond. The inspiration came from the groom's Irish heritage. 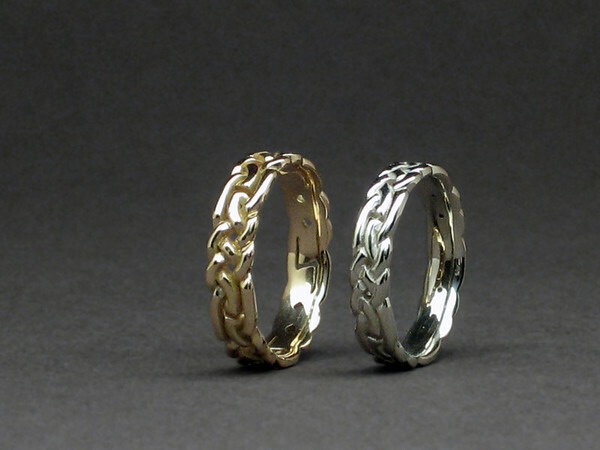 Celtic themed wedding bands in 14k white and yellow gold. The inspiration came from the groom's Irish heritage. Color stones are a traditional choice in European engagement rings. 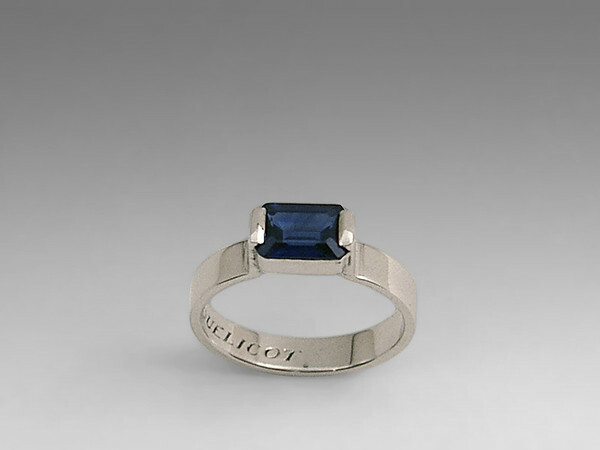 His heritage is french so he chose a Ceylon blue sapphire set in 14k white gold with a hand engraved message inside the band. If you draw a star inside the ring, you will connect all 5 diamonds. Diamonds set in the interior of 18K white wedding bands. 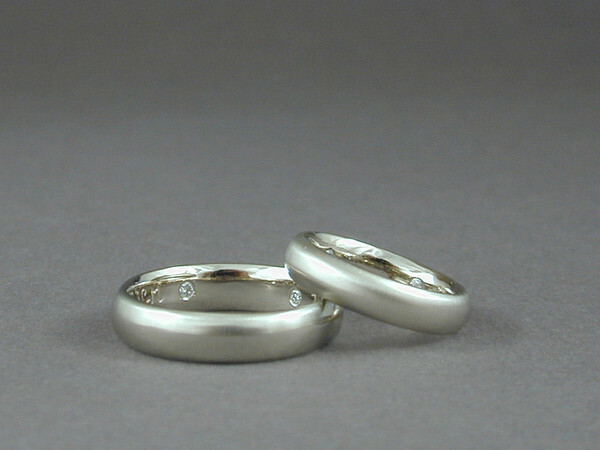 Set of Palladium rings. The wedding band has 10 small family diamonds. 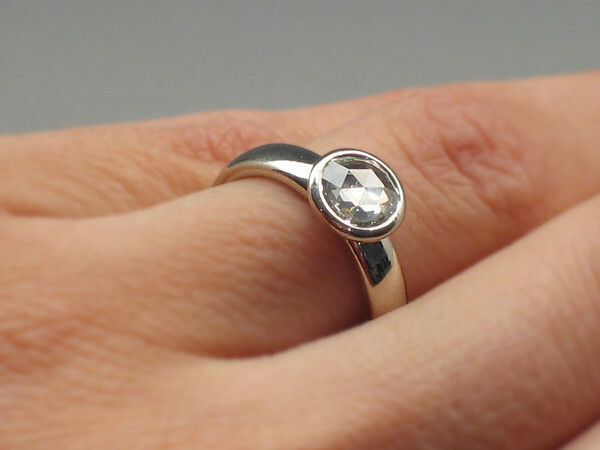 The engagement ring has a white topaz set in Palladium. The white topaz was chosen as a personal symbol from when they first met. Antique rose cut diamond set in 14k white gold. A different ring for a woman who wanted something unique. 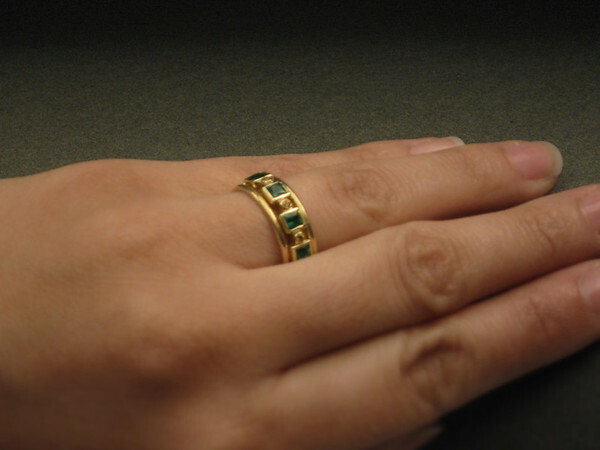 A ring inspired by ancient Roman jewelry using emeralds and citrines set in 14k yellow gold. 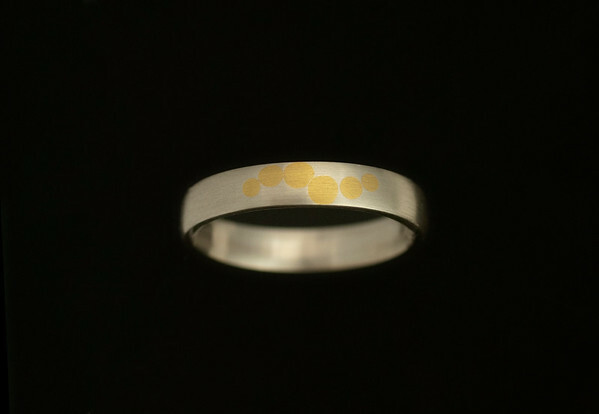 The pattern continues around the back of the ring in solid gold. Shown with double thin wedding bands also in 14k yellow gold. These are companion rings to the engagement ring. 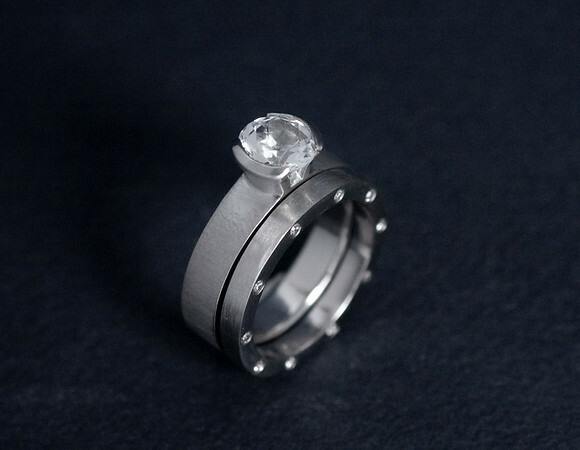 The plain band acts as a spacer between the diamonds to protect them and can be worn by itself when traveling. 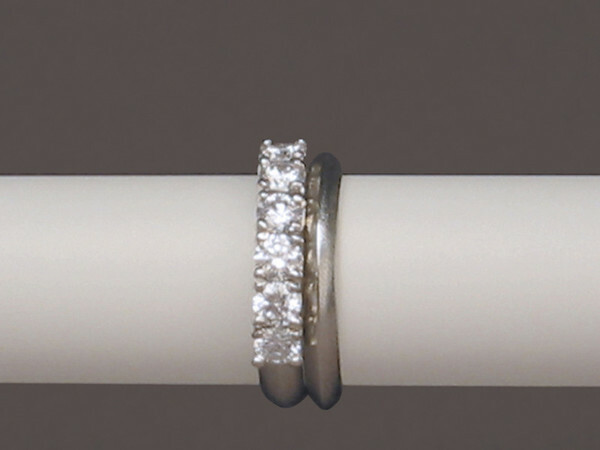 Diamonds set in 18k white gold. She wanted a classic ring, he wanted a hand made ring. 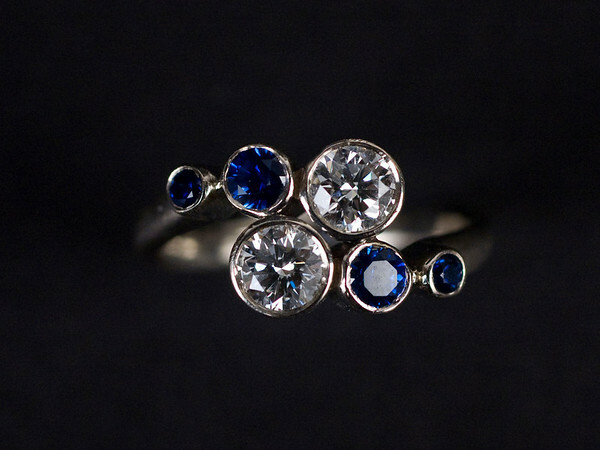 This is my interpretation of a classic six prong ring. 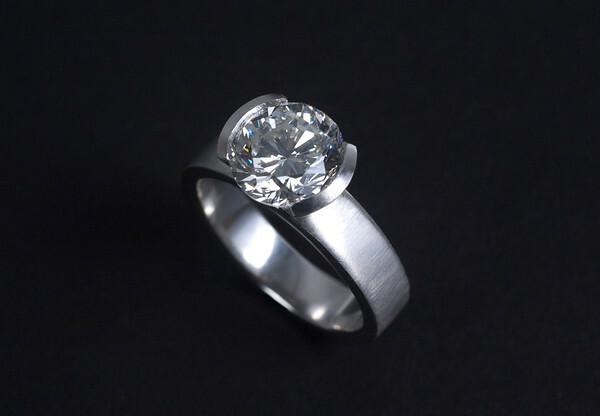 Diamond set in 18k white gold. Family emerald cut diamond set in 14k white and 18k yellow bezel. 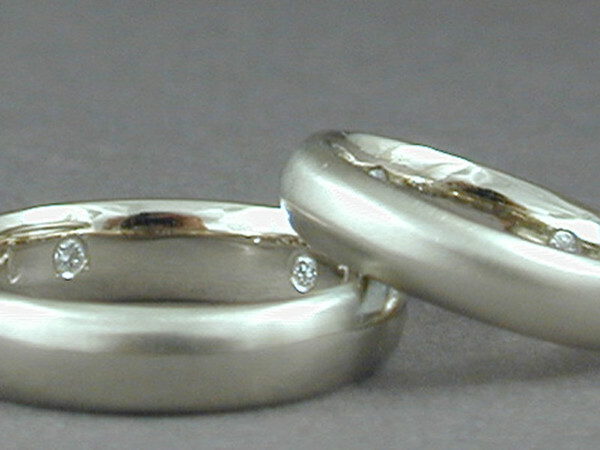 The wedding band is identical to the band on the engagement ring. 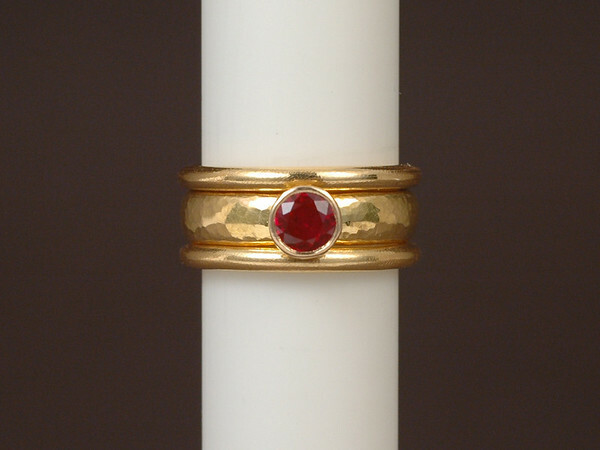 Engagement ring with ruby set in 22k yellow gold framed by two 22k yellow gold wedding bands. 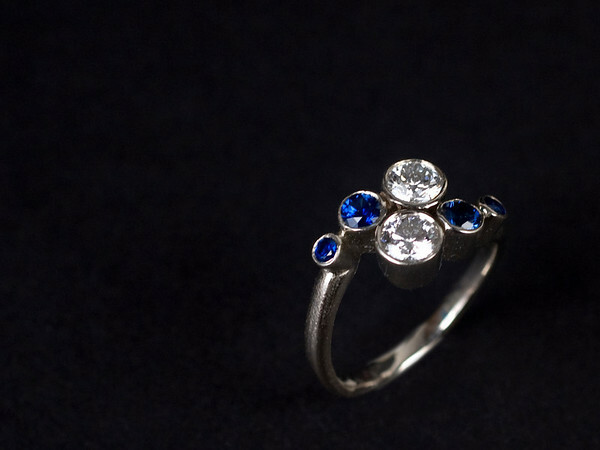 I incorporated jewelry form the bride's grandmother into the engagement ring. "I want to give her the stars and a piece of the sky right when the sun is setting" Ceylon blue sapphire and diamonds set in 18K white gold. A simple ring is the focus of this custom card. I make a simple band in the metal your partner likes to wear. 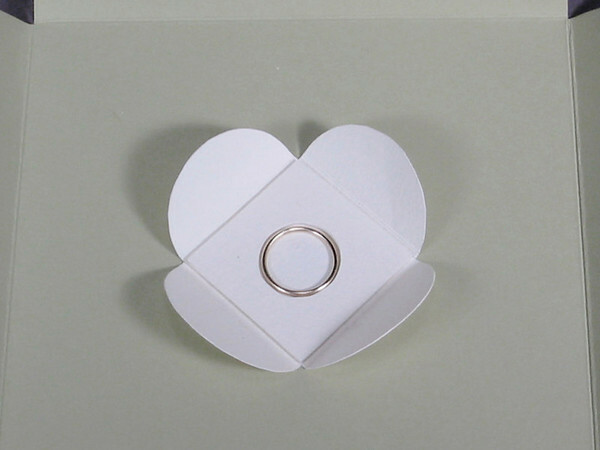 It is held inside a card where you can write a loving invitation to participate in the design of their engagement ring. 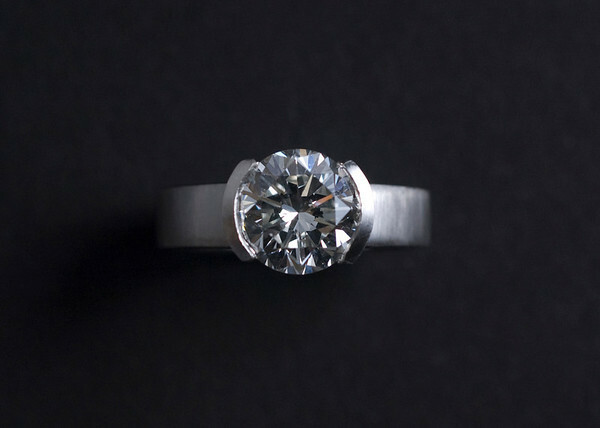 After the proposal, the simple ring can be cast into the final engagement ring or kept as a memento. Contact me for more details. 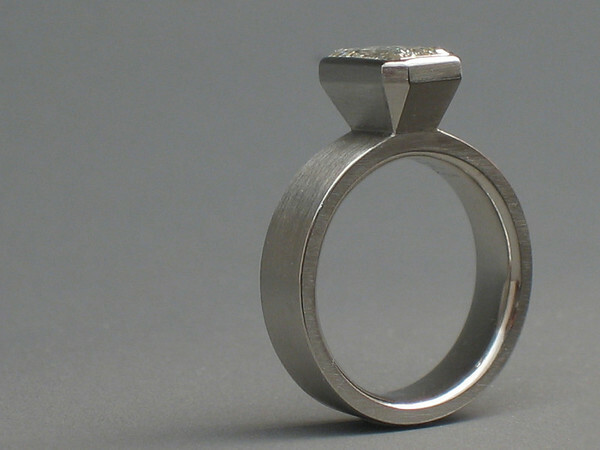 Side view of platinum ring with emerald cut diamond set in a faceted bezel. 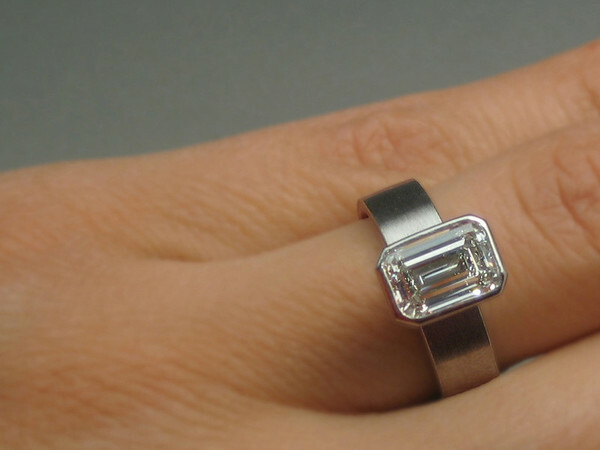 Platinum ring with emerald cut diamond set in a faceted bezel. 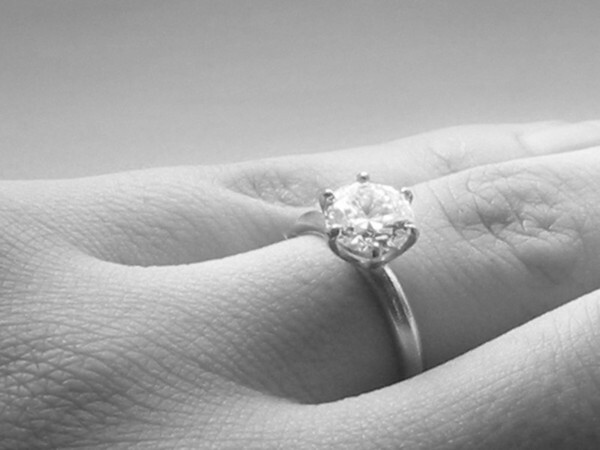 An engagement ring for a couple already had two children each. 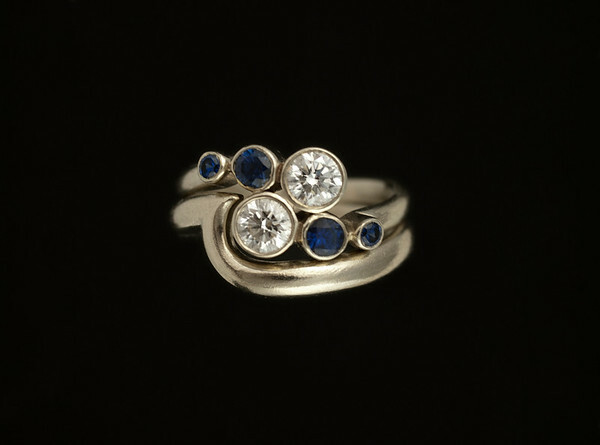 The Sapphires represent the children wrapping around the two diamonds representing the couple. A tiara inspired ring for a painter who loves vibrant colors. 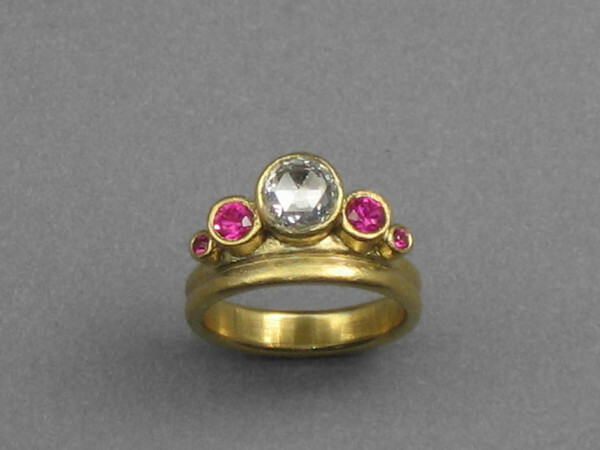 Antique rose cut diamond with treated pink sapphires set in 22k yellow gold. 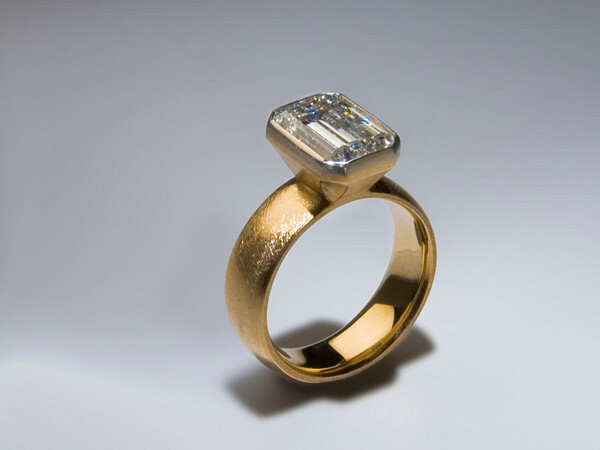 Echo of Susan's engagement ring in 24k gold and while gold. 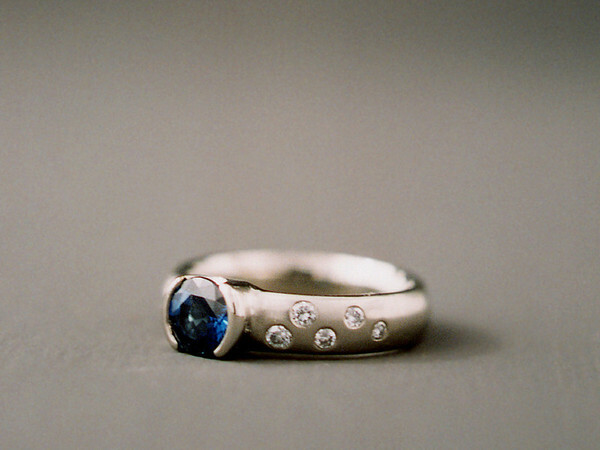 Engagement ring for a blended family. Diamonds for him and her and sapphires for their children set in white gold. Wedding band wraps around engagement ring to hug the new family together. 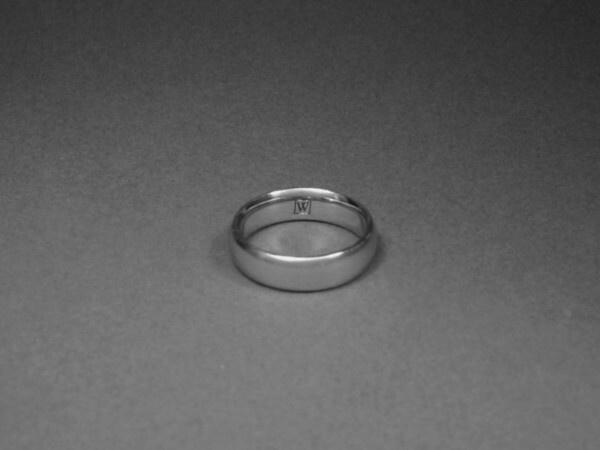 Classic wedding band with a comfortable profile and hand engraved detail.